The purpose of the Good Friday service is to remember the events that took place on the day of Jesus's death on a cross. So, this is a type of service where it's really good to sing and reflect on the cross and what it means for us as believers and followers of Christ. There are two great resources to find these songs: PraiseCharts.com or CCLI.com. Once you’re there, select Themes, go to Cross, and then they're going to filter and rank the most popular songs with those themes. 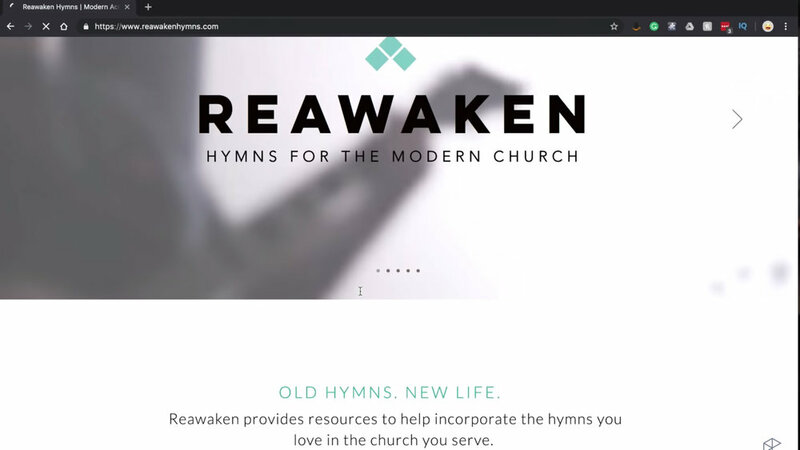 My friend, Nathan Drake has been working on making hymns more accessible for modern worship bands at ReAwakenHymns.com. A lot of hymns do a great job at emphasizing and unpacking the meaning of Jesus's death on the cross. To find hymns about the cross, just look at the song titles and you’ll be able to find what you’re looking for. The cross is atonement for our sins. It’s a picture of divine glory. It's an example of perfect self-giving love. It's a really surprising means of conquering evil. It redeems all of creation. As you’re browsing the different songs that have the theme of the cross, try to diversify the types of songs you're choosing; not all the songs have to talk about the atonement theme. Just have a good diet that will really help your congregation understand the different facets of meaning of Christ’s death on the cross. Your Good Friday Service is generally not the time to be super high energy or happy. Even though we call it Good Friday, it's good because the cross means redemption for us, but death is something that we want to be respectful of. We don't need to be super sad and dark, but we want people leaving the service feeling grateful and feeling a sense of wonder and awe for what God has done for them through Jesus's death on the cross. Whatever you choose to do the Good Friday Service should be in stark contrast to your Easter Service, which is only a few days away. So, how do you go about facilitating this type of environment and atmosphere for your Good Friday Service? I would recommend having a much more minimalistic approach to instrumentation, as well as the aesthetic of the worship gathering. For my band during a Good Friday Service, I usually go about having a more acoustic set and vibe, with some more ambient darker tones when it comes to just the sonnet quality of the music. It doesn't mean you can't use backing tracks or any of those other supplemental sounds, but just make it a darker, warmer and more reflective tone. I don't think this is the time for a colorful, fancy light show. Easter is the time for that because it's victorious and celebratory. For Good Friday on the other hand, I would recommend using less colored lighting; just use your spot lights to light up whatever’s on stage that needs to be lit up. Keep the lighting very simple and a little bit darker than usual. When it comes to imagery, I would use an image of the cross and keep that simple as well. Maybe you have a big old wooden cross that you could put on a stand on the middle of your stage and just focus the light onto that. Or, if you're using screens and you want to put some visuals there, you can put cross imagery on the screens and keep that simple and dark as well. To find some great free imagery, go to UnSplash.com and search “Cross”. You'll see a bunch of free images of crosses you could use and throw those into Pro Presenter for your backgrounds. 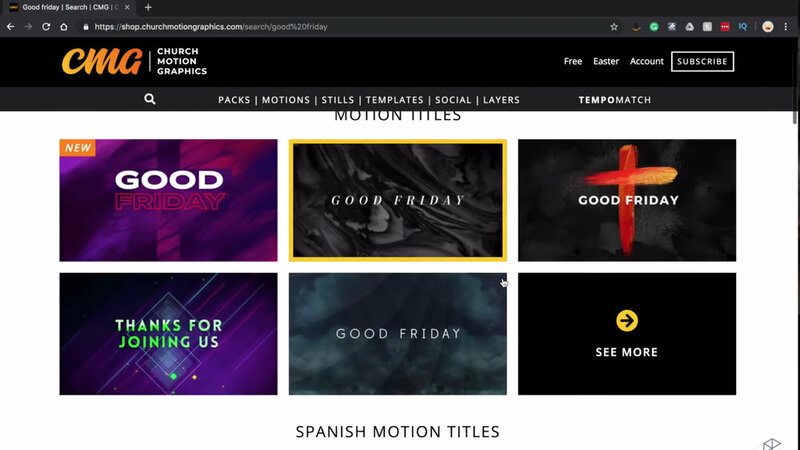 You could also go to ChurchMotionGraphics.com and search “Good Friday”. They have a lot of free, still background images. If you want to pay for them, you can also get the motion background images that fit the Good Friday theme. I think for the most part, Good Friday is one of the High Church liturgical services that a lot of modern churches still observe, which makes it a good time where you and your leadership could really do something that's a lot different than your usual Sunday services. I think you want this to be an experience that your congregation thinks, "Wow, this is really different.” To do that, there are all sorts of different liturgical elements you can incorporate. It could be a dramatic reading of a passage of Jesus's crucifixion from the Bible (maybe John 18 and 19 or really anything from Matthew, Mark, or Luke, as well). You could also do something called the Tenebrae Service. This is observed in a lot of liturgical churches. It’s a really cool experience where you have 10 candles lit at the beginning of service. After you read a passage of scripture, you extinguish a candle, and then you get to the point where Jesus dies and you extinguish the last candle. After the reading, someone could get a piece of wood, a hammer and a nail and hammer it in so people can just hear the sound of what happened. So that’s how my team and I lead Good Friday service. What do you do to remember this service? What do you do in this service that makes it different from your other worship gatherings? To find more of my experiences and learnings about leading worship, check out WorshipLeaderSchool.com–a membership site packed with in-depth, practical training on all aspects of planning, building, running and growing a successful worship ministry. I’d love to hop on a call and chat about how I can help you grow as a worship leader. Just schedule a free strategy session and we’ll connect!